Die Casting vs. Machining - Learn What might Be Better For Your Project | Protocast Inc. Both questions are valid, being that the intricacies of the work we do in our foundry are often murky for people that have never directly worked in one, or even taken a tour of a facility. At Protocast Inc, your local source for casting and machining in the Denver-area, we understand that the difference between die casting and machining can be a little hard to grasp, and because of this, we will be discussing that very topic in today’s blog post. First Thing’s First: What Are They? Before we begin discussing the differences between the two production methods, we would like to provide a brief definition and explanation of what each foundry operation is. Die casting is a manufacturing process that is used for producing extremely accurate sharply defined metal parts. During the casting process, a metal material is made molten using high pressure and heat — making a metal die. Once the metal has become a molten die, it is then poured into a mold where it will harden and create the finished product. Once the product hardens inside of the mold, very minimal machining is needed to create a flawless product. CNC Machining is most easily described as a form of production where a pre-programmed computer software dictates how machinery and other automated factory tools create a product. CNC machining is often misunderstood because it involves a great deal of tools and processes rather than a single one. That being said, since the machines have been programmed using a dynamic software, a single prompt can create and control, three-dimensional cutting tasks with ease. If someone were to put one of our foundry employees on the spot and say “In the quickest way possible, what is the difference between the two manufacturing methods?”, nine times out of 10 an employee will simply point out that die casting involves taking a molten metal to fill a void (mold), and CNC machining involves taking a piece of metal and shaving it down to desired size and shape of a product. Both methods of production work extremely well, but how do you know what method is best for the manufacturing of your product? So you need a prototype to be made for a product that you anticipate on launching in the future. When doing so, there are two major things that you must consider — cost and efficiency. When it comes to the argument between die casting and CNC machining, the answer is not always immediately clear. In fact, there are many manufacturing processes that are actually made more efficient when CNC machining follows die casting. Die casting is often the most optimal method of production when the product needs to have a lot of surface detail. Surface details can be made right into the die so that your molten metal cools and hardens with the complete surface details already inscribed. The alternative to doing so is to cast the product and add surface details using machining later on in the production process. CNC machining is better when used to manufacture low volume parts, being that there is no tooling cost required. Additionally, CNC machining becomes the most optimal production method when there is a need for a large amount of consistent and reliable parts. The benefits of both machining methods also extend far beyond that of production value, as the amount of waste created is often also a consideration that must be made. 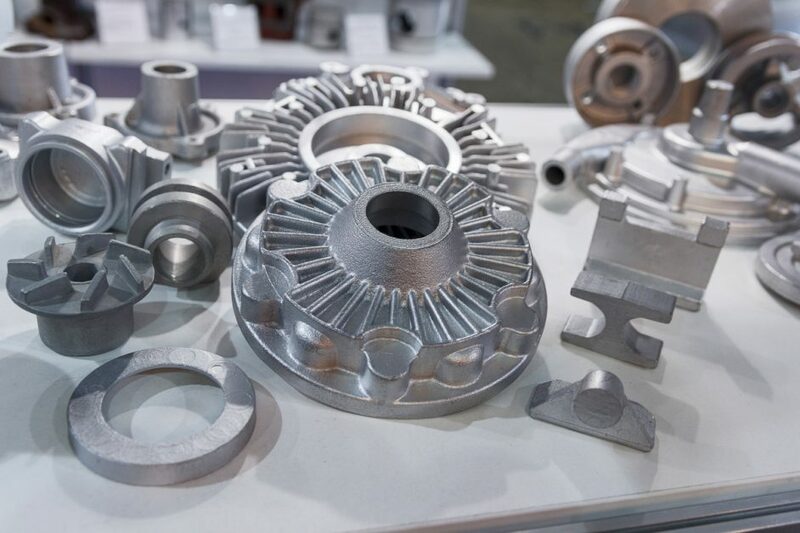 Because die casting involves pouring molten material into a mold, materials are seldom wasted — making it by far the most efficient manufacturing method at reducing waste. That being said, CNC machining should not be ruled out immediately. If you plan on making a high volume of parts using CNC machining, it can still be just as effective as long as the proper recycling systems are in place. Deciding how to produce your product can be difficult — after all, there are many different considerations to weigh in the planning process. That being said, if you are unsure of if die casting or CNC machining is the most efficient option for you, you can always contact us at Protocast Inc. or stop by our Denver foundry to ask. Whenever you find yourself starting your next product or product prototype, we urge you to get in touch with us at Protocast Inc. Providing the greater Denver area for close to a quarter of a century, Protocast Inc. is by far the most experienced and knowledgeable foundry in the area. So whenever you start your next project, you know where to visit first.